Evening Oldhammerers. 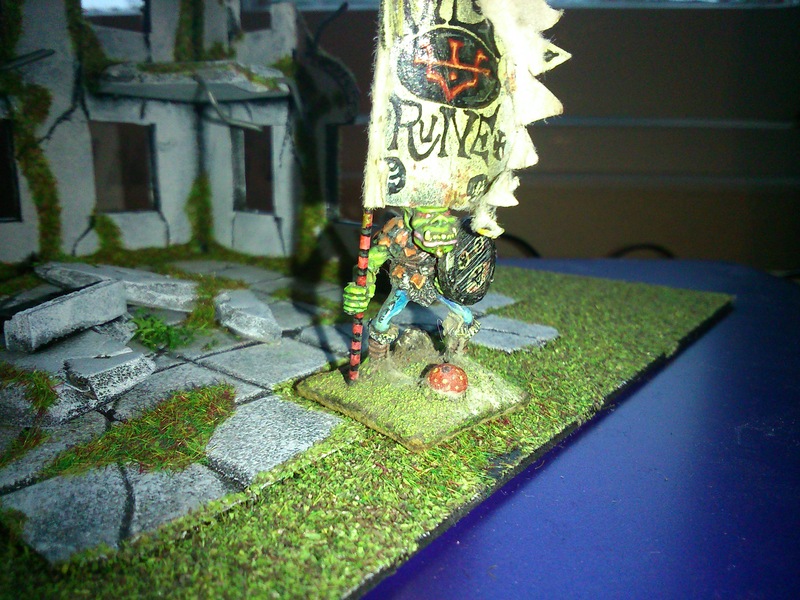 I found this orc standard bearer in a small collection I bought. It’s a bit good, isn’t it. And faintly familiar. That could be the style though. I haven’t yet decided whether to strip it, but before I decide I’d like to know if anyone recognises the paint job and banner? 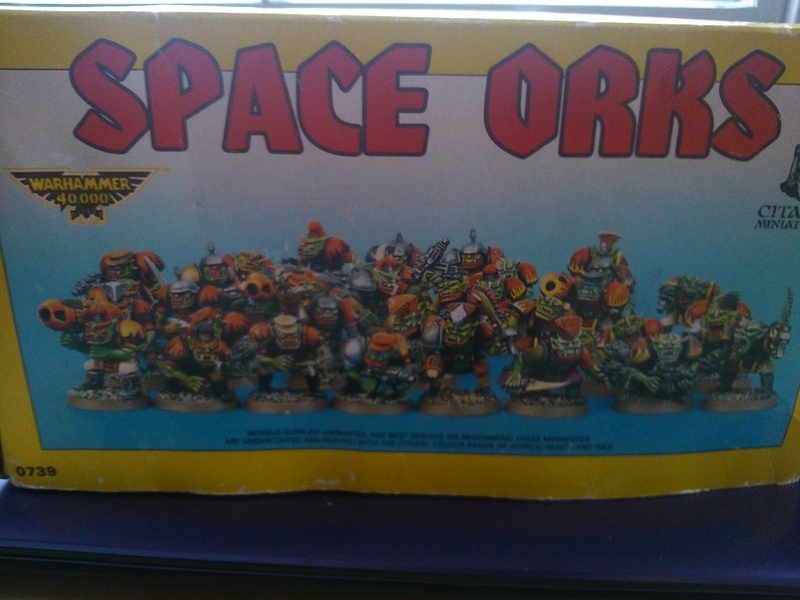 Maybe it was in a white dwarf or rulebook, maybe a golden daemon entry. 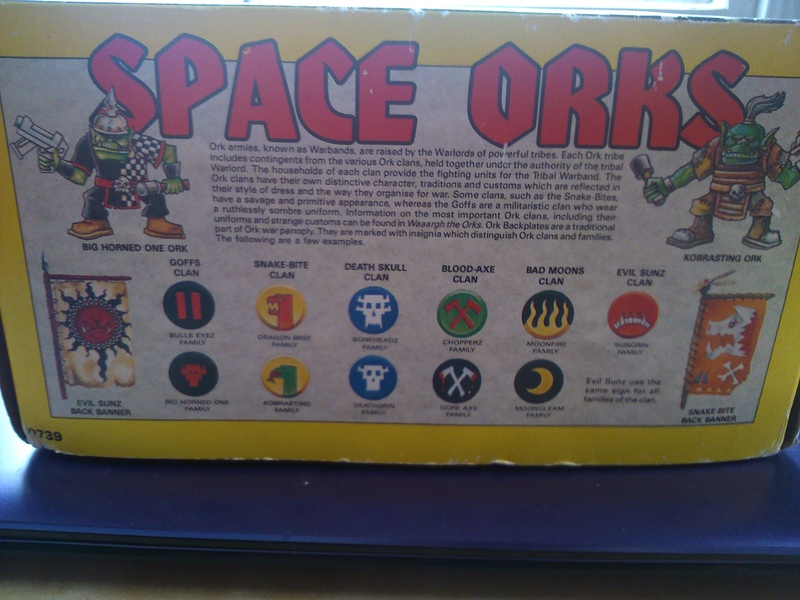 Or does it just look like a particular orc from WD? Help me out here! 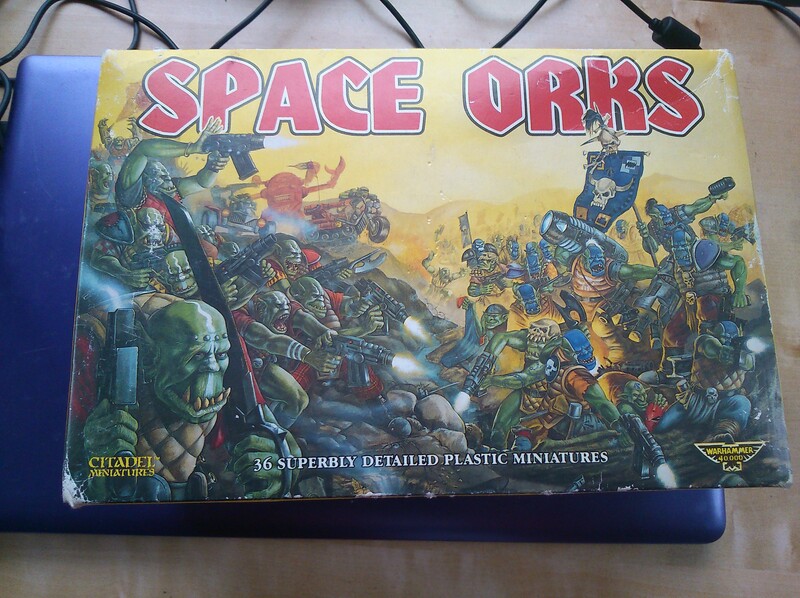 It’s beautifully painted – but is it an Oldhammer artifact? Been a long time since my last post, slow time for painting. 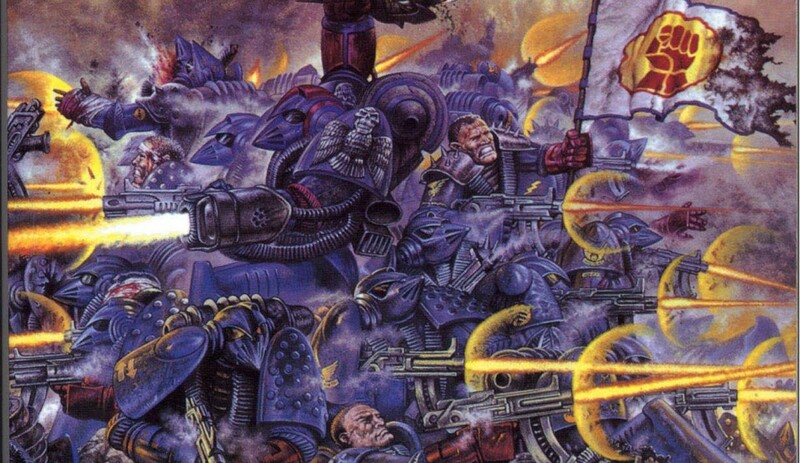 As you probably know by now, my favourite Chaos Space Marine Legion is the Alpha Legion. I love the fluff, I love that there is much that is contradictory, and lots of space to fit my version of them into the 40K universe. 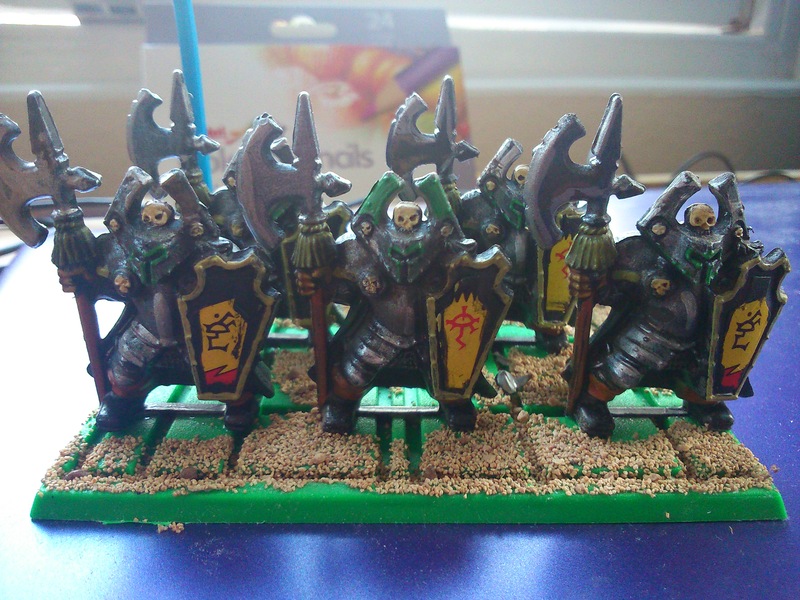 They’re also a bugger to paint! 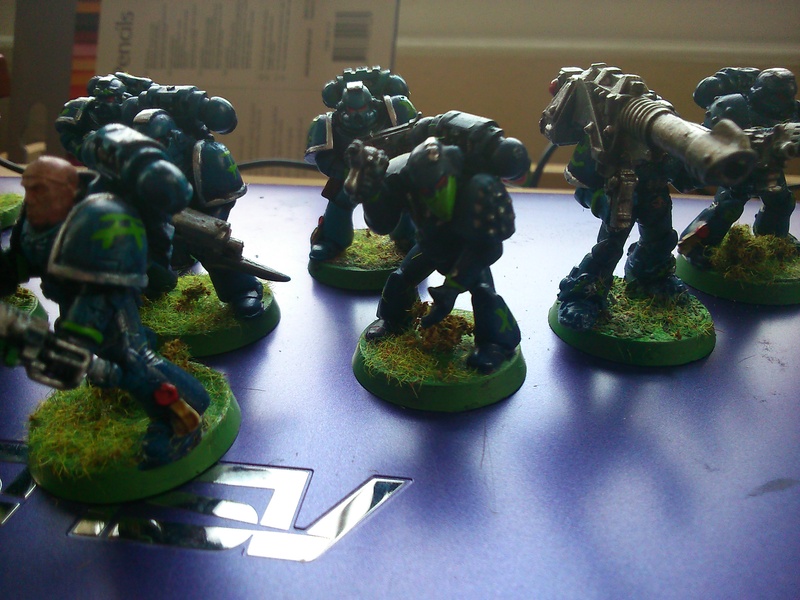 I’ve tried lots of different ways, so my Alpha Legion warband is a bit hit-and-miss in terms of colour schemes. 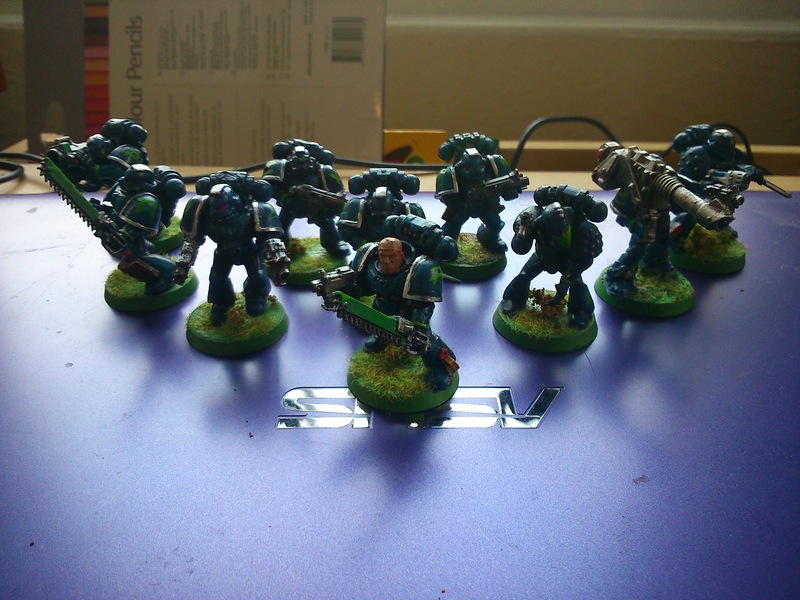 I decided that I wanted to paint a squad of Alpha Legion that hadn’t yet been touched by chaos. 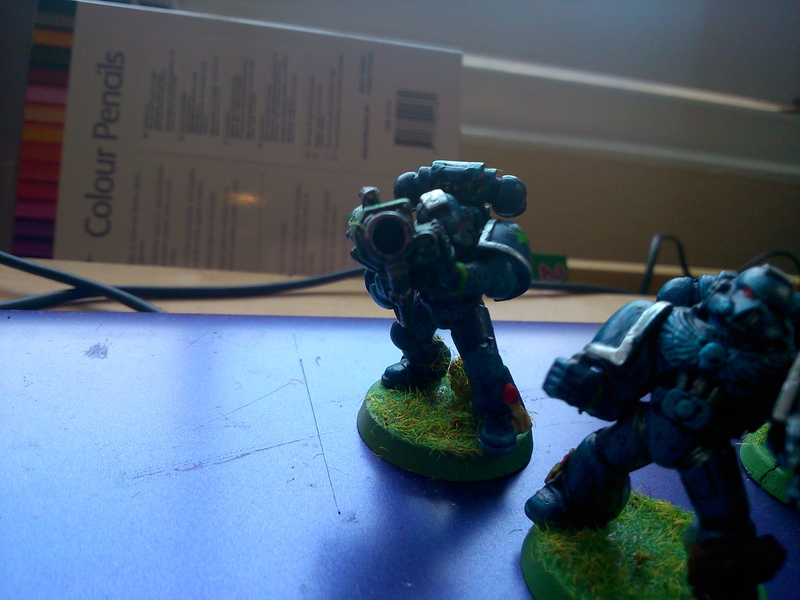 The Alpha Legion never went to the Eye Of Chaos, they have maintained at least one warband in realspace for ten thousand years, recruiting secretly across the years. 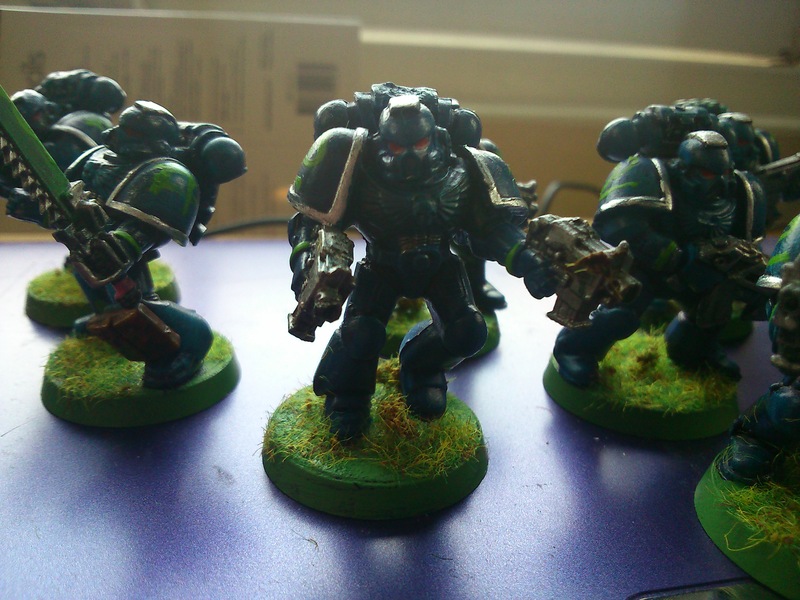 As usual all the figures are second hand, reclaimed marines from ebay. I’ve stripped and rebuilt where I can but a couple remain in odd poses! It’s all part of the fun for me to try and salvage them. 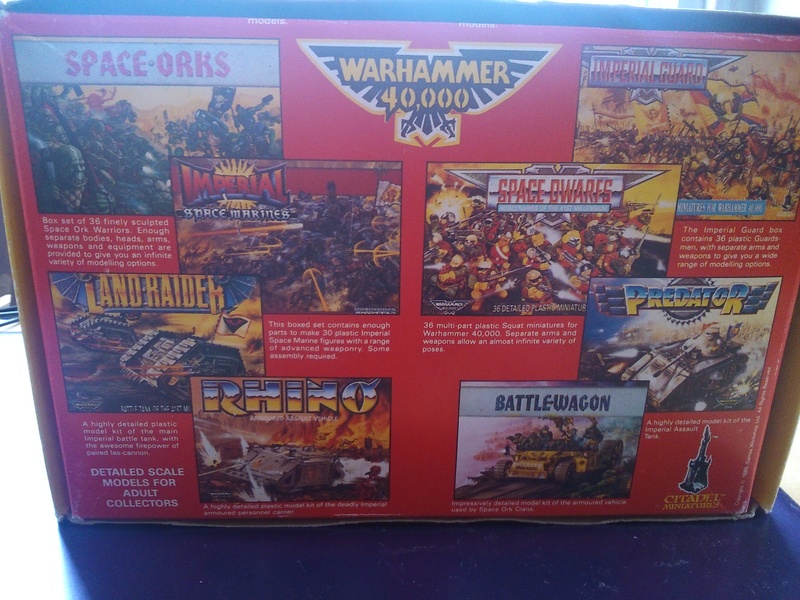 Most of these are 00s plastic marines but there is a single RTB01 marine and an early 90s metal Devastator there for Oldhammer goodness.